I am more excited than I can convey here to announce that What Makes You You? 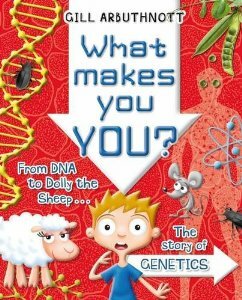 has been shortlisted for the Royal Society Young People’s Book Prize for 2014. For a writer who is passionate about getting young people enthused about science, this is about the best possible encouragement to keep writing. You can find out more and see the full shortlist here. The winner will be selected, over the next few months, by judging panels of pupils from schools around the country. You can get involved online too, by following the link above to ask me a question about the book. Thankyou! Not sure if it’s possible to keep fingers crosses for 6 months, but will be trying.